Scott Bisson has spent a lifetime perfecting the art of glass blowing. 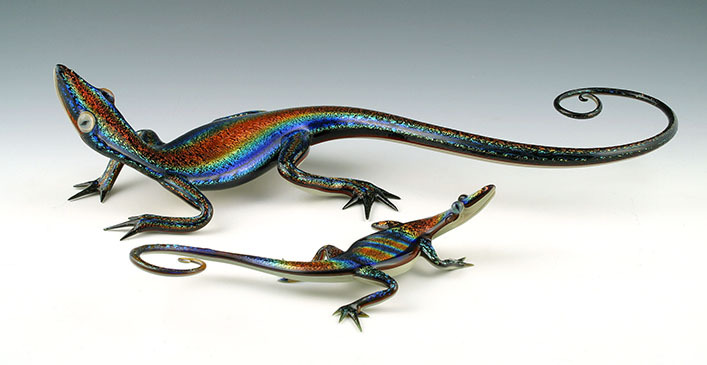 Using borosilicate glass and his fascination with nature, he creates whimsical representations of the world he sees. Scott began his journey in 1989 when he was only 17, after bending glass tubing over a flame in a high school chemistry class. He went on to study at Pilchuck under the direction of Robert Mickelson and then later spent time in Italy on the Island of Murano under the instruction of Cesare Toffolo. Ever since Scott was a child he has loved animals, and this love has become the perfect focus of his work. He was always dissatisfied with the lifeless black dots that passed for eyes in the glass produced at the time. But in 1994 he was able to change the technique used to create eyes and give his pieces life and personality. “In 1994 a moment of inspiration transformed the look of my pieces forever. A Siamese cat named Ginger with the most beautiful eyes inspired me to develop the ‘Quantum Eye Technique,’” explained Scott. Scott takes pride in working hard and challenging himself. “I believe that the phrase ‘good enough’ should be excised from the vocabulary of anyone who strives to be an excellent artist,” says Scott. He also believes that energy and excitement always create his best work. “If I don’t lose a piece a day from getting in over my head, then I am not pushing myself hard enough. Skill is the raw material of a great piece, and drive and energy make it take shape”. 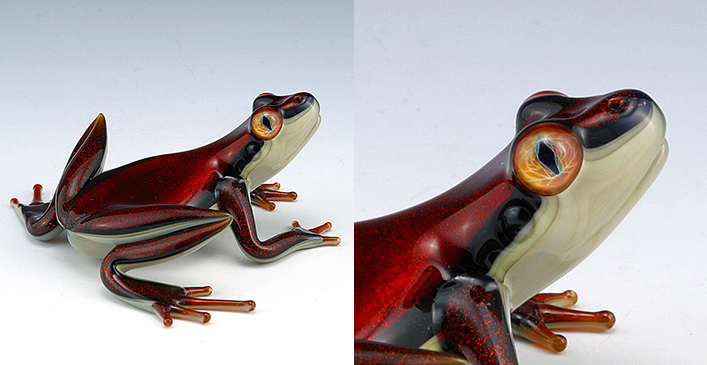 In addition to being an amazing glass artist, Scott is also an established craftsman. He has built many homes with his wife Abigail that are featured in homebuilding magazines. Their homes have inspired many interior designers in the area, and have topped the price charts year after year. After 26 years of glass blowing, Scott is still fascinated with the art. His work is featured in close to 80 galleries spanning the United States. 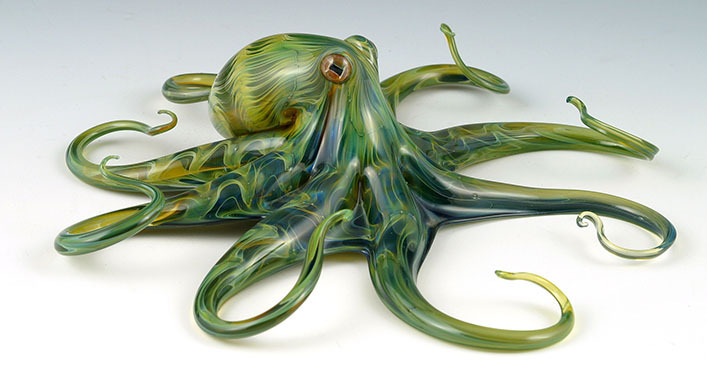 A complete current gallery of his work and contact information can be found at Quantum Creative Glass.